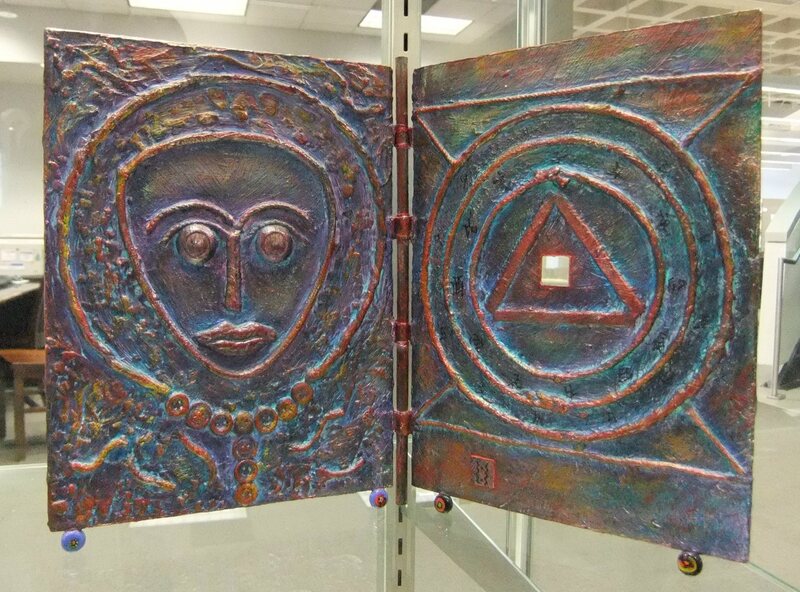 The Lucille Caudill Little Fine Arts Library's collection of artists' books. 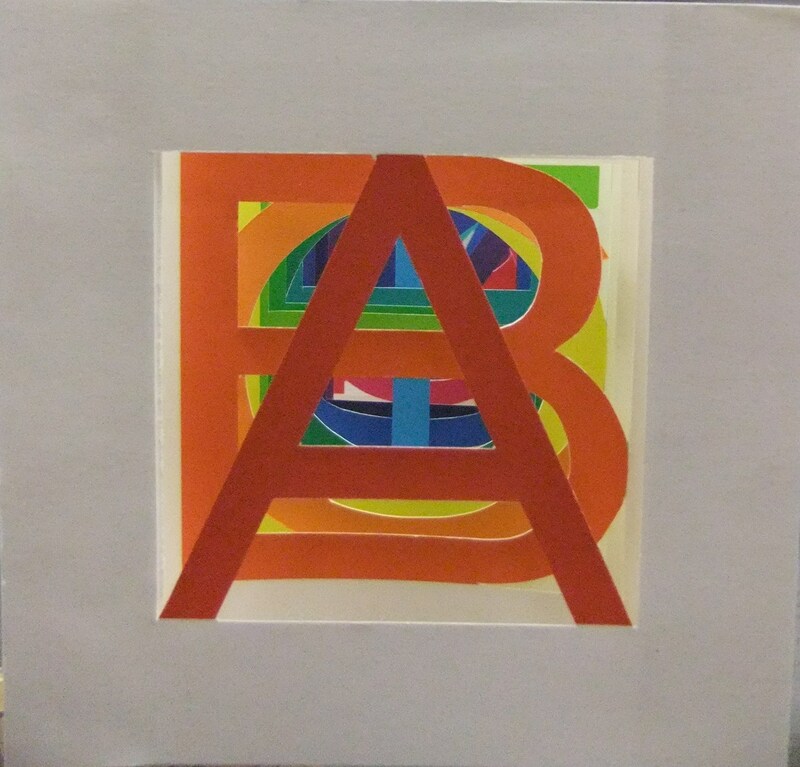 An artist's book is a book made by an artist that has a visual impact, whether it is through the overall design, the typography, the pictures within, or the binding. The books are usually produced with painstaking care in very limited editions, or as unique examples. The collection at the Lucille Caudill Little Fine Arts Library has a wide-ranging variety of shapes and sizes, some more book-like than others. We have an emphasis on books that are 3-dimensional or have a sculptural quality, collecting objects that can be displayed in our display cases at the Little Library, which were provided by the Donovan Trust at the University of Kentucky for this purpose. The A - Z tabs of this online guide link to lists of the books in our collection, organized by the artists' last name. 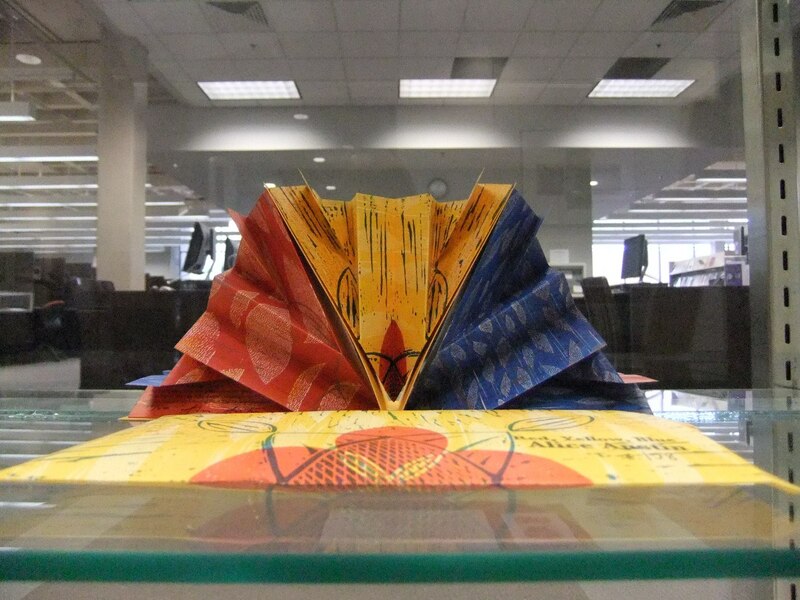 If you are interested in reading our artists' books in person or using artists' books for a class, please contact the library to make arrangements. A Guide to Higher Learning by Julie Chen, Flying Fish Press, 2009. Edition of 100. 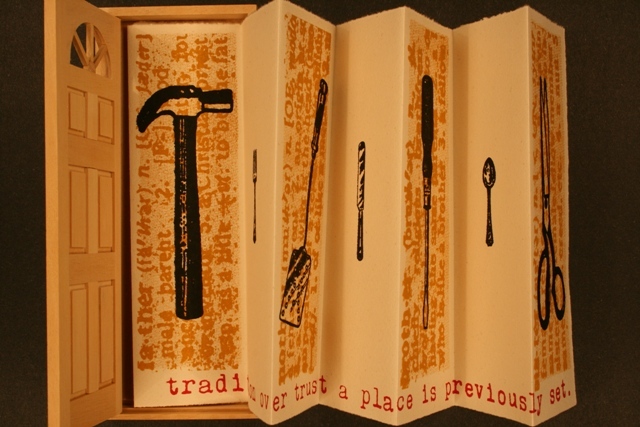 Letterpress printed from photopolymer plates, contained in a cloth-covered clamshell box. The book is a central box surrounded by rows of square pages which unfold clockwise. In the center is "The Answer Book." The inspiration comes from the field of mathematics, incorporating abstract algebra, analysis, geometry, and number theory. Family by Rita MacDonald, 1994. Edition of 100. Silkscreen prints, bound in a wooden box. The front door opens to reveal a collection of household items that represent portraits of individual family members. The concept relates to gender stereotypes and family roles. Red, Yellow, Blue by Alice Austin, 2000. Edition of 500. 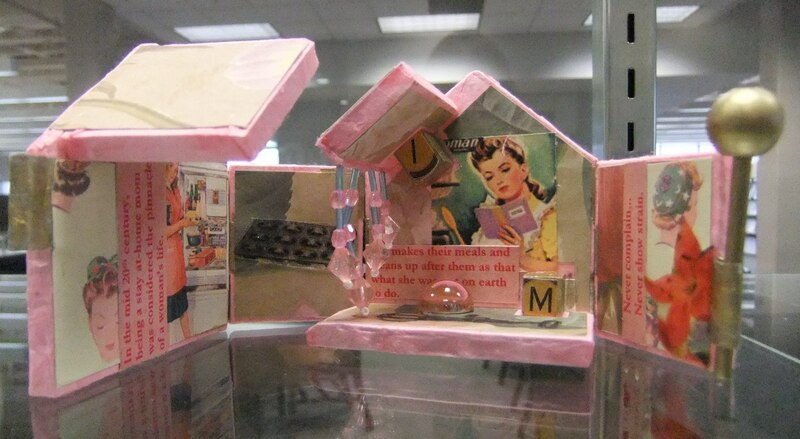 Little Pink Houses by Maryann Riker, 2009. Edition of 3. Seeker, Healer by Su Lund. One of a kind. 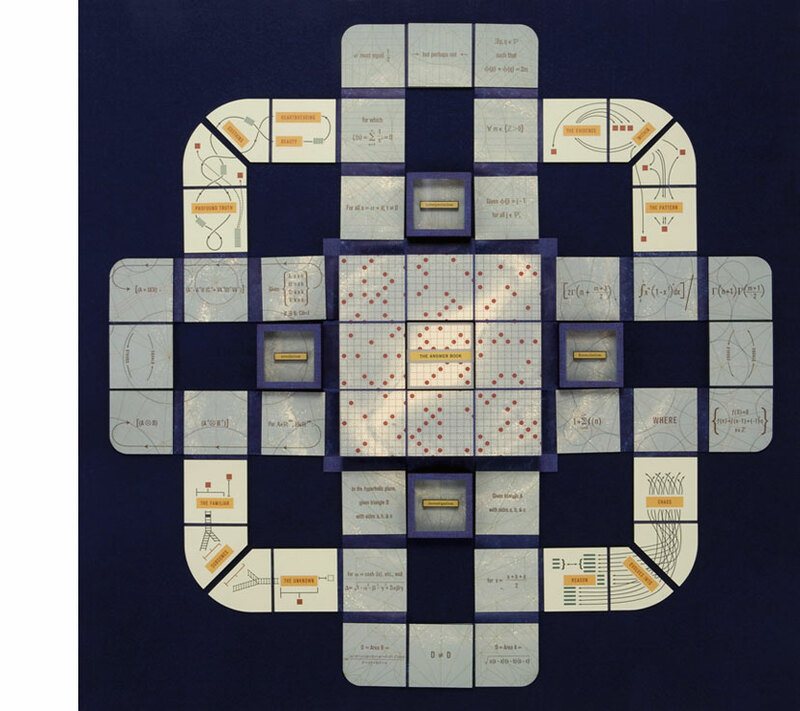 The Spectrum A to Z by Karen Hanmer, 2003. Edition of 20. 1. Open InfoKat Discovery and type "artists' books" in the search box. 2. Go to the drop down menu and select "Subject." 3. Hit search. This will pull up several lists of artists' books grouped by subject heading. Items cataloged as part of this collection should have the label "Fine Arts Library - Artists Books Collection" in their description. These materials are not available in the regular circulating collection, and you must ask at the front desk in order access the materials. For additional resources for and about Artists' Books, please check out the Artists' Books Resources tab. Thanks to the efforts of Kimberly Trinh-Sy and Digital Library Services, digital versions of four of our artists' books are now available on the Kentucky Digital Library for viewing! Please note: These pages may be freely searched and displayed. Permission must be received for subsequent distribution in print or electronically.